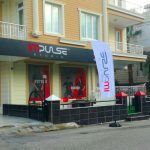 Impulse Studio opened an brand new studio in Antalya, Turkey. We are happy to serve the Turkish people with our effective and fast way of getting fit. Impulse Studio operates studios in Germany, Malaysia, China, Oman, Iran and Turkey with many more to come in 2019!